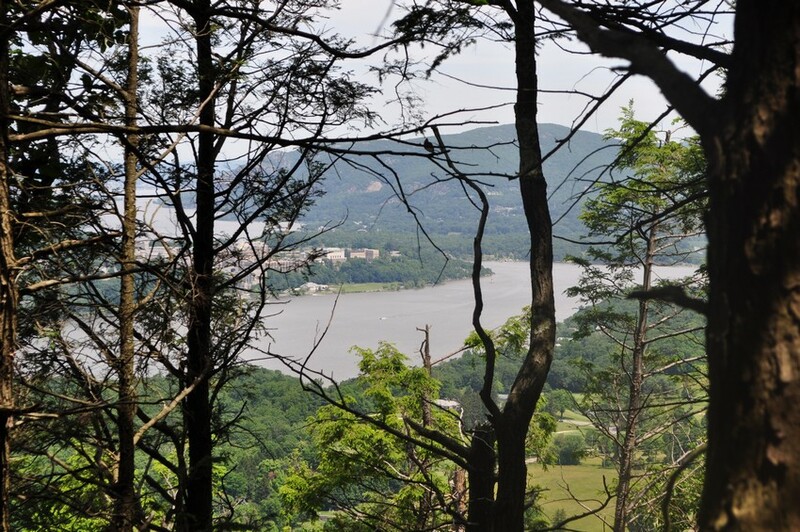 Level of Interest: Recommended for a relatively short but good hike with a nice view. 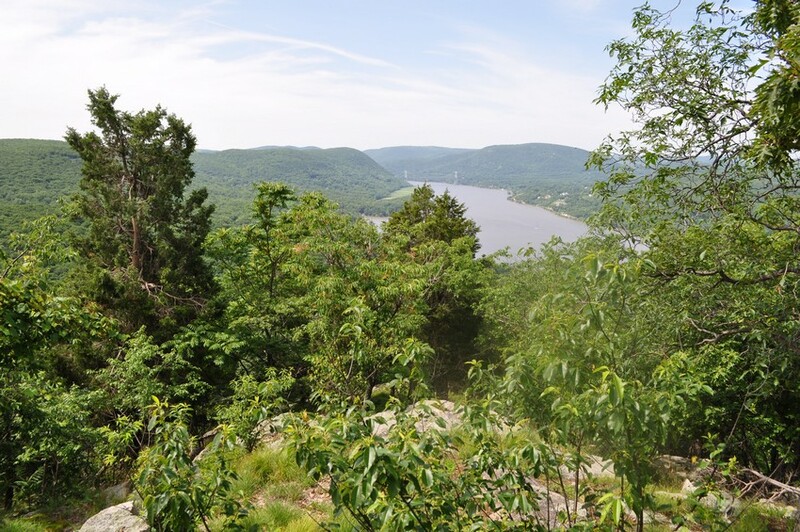 Sugarloaf Hill is a nice yet relatively small mountain on the east side of the Hudson River. This was actually my first time climbing this mountain, and it took a bit to find the proper trailhead. The way to the parking area is by making a right turn when coming north on Route 9D at the wooden sign that says "Castle Rock Unique Area", and then going up the dirt road (Wing and Wing Road) towards an old farmhouse, where there is a hiking trailhead right after that. The hike takes you through some old farmland and an overgrown grassy area in the beginning. It then enters the forest where there is a nice gazebo, and then starts climbing following some old roads up. 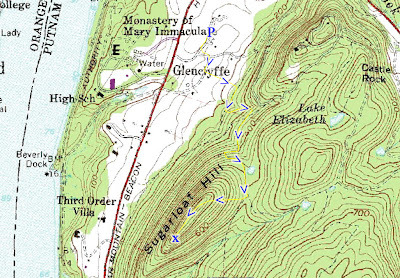 It passes a small pond, and then starts the final ascent to the top. 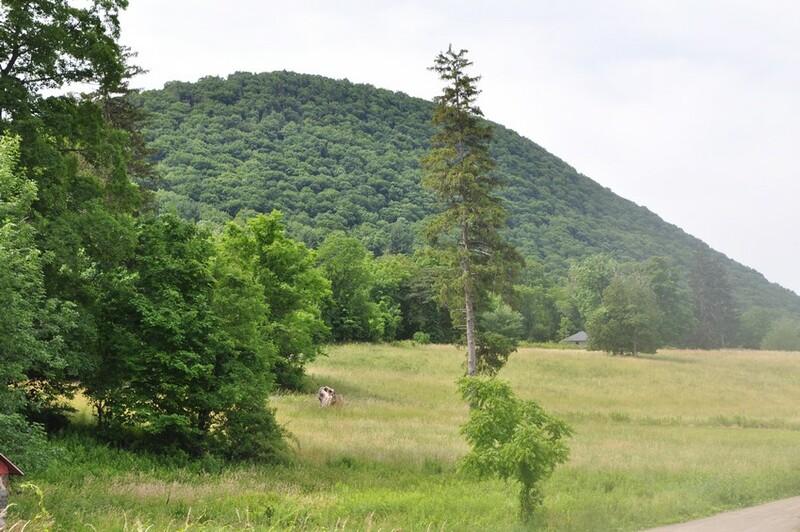 The top of of the mountain features sharp cliffs on both the left and the right side and is a sharp ridge. 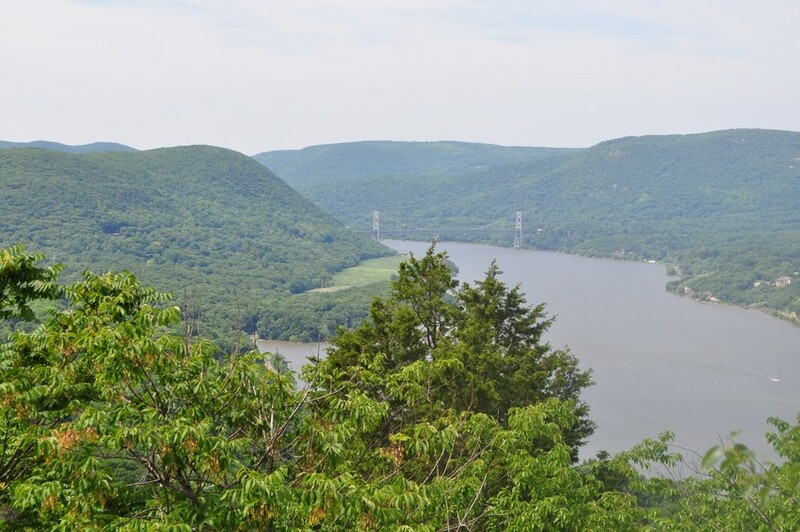 The end of the trail features the viewpoint, which faces the Hudson River and the southern highlands including the Bear Mountain Bridge. 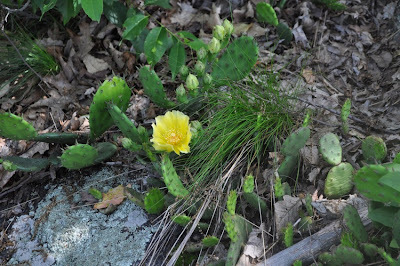 The top of the mountain also has a very large cactus grove. 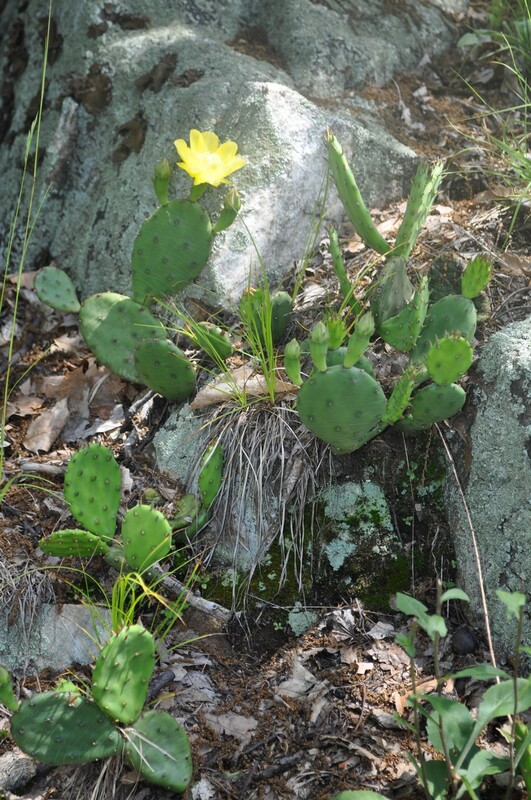 These beavertail cacti can survive the winter and grow in rocky and sunny areas in a few sporadic locations in the area. They were flowering into beautiful yellow flowers. I turned around and went the same way back, though took a few shortcut switchbacks. 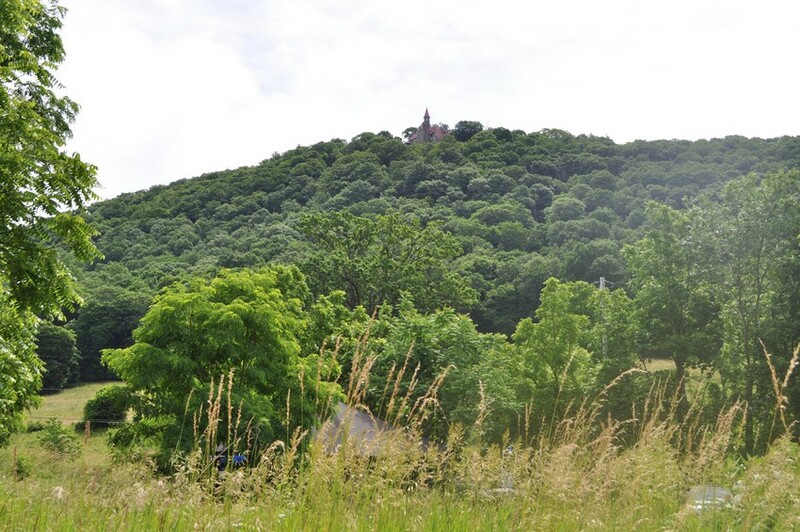 Castle atop Castle Rock from the parking area. 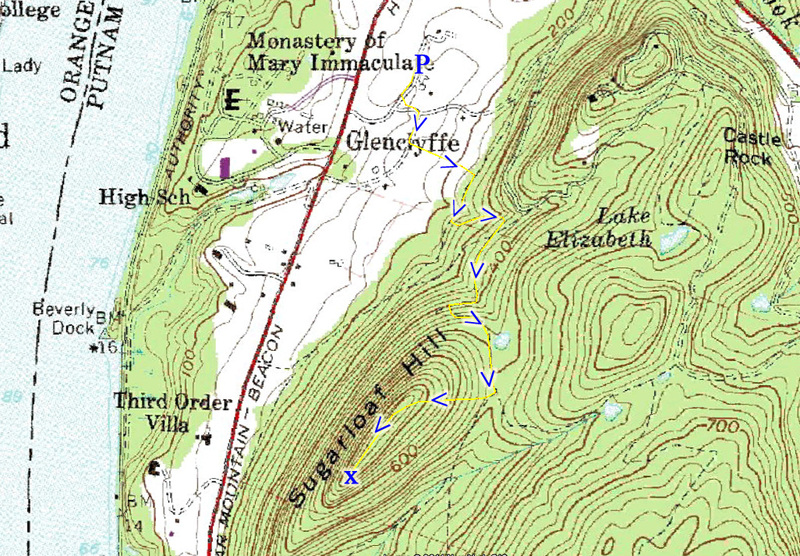 Sugarloaf Hill from the beginning of the trail. Looking south. Going towards the view. Facing South. Sugarloaf view at the end of the trail. with the Bear Mountain Bridge span. Flowering Cactus at the view area. from the summit facing through the trees. 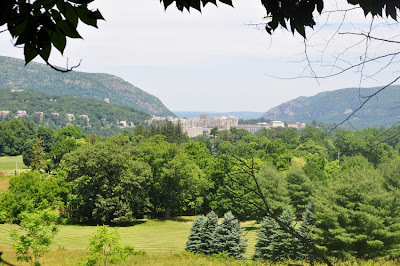 and Breakneck Ridge on the left. Facing north from right before the grassy area.